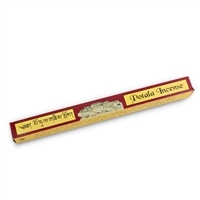 Tibetans have been making and offering this incense to shrines and altars for centuries. 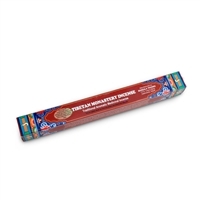 Imported from the Tibetan refugee communities in India and Nepal, Tibetan incense is more pungent and earthy than Japanese varieties. We have repeated the makers' colorful claims on the boxes for your consideration. The blends and recipes have remained unchanged for many years. Ingredients vary from sandalwood, cedar, cinnamon, clove, and juniper, to kusum flower, ashvagandha, and sahi jeera. The long sticks (usually about 13") will burn for over 45 minutes.